Your first thought might have been of a football game when seeing the title of this blog post. 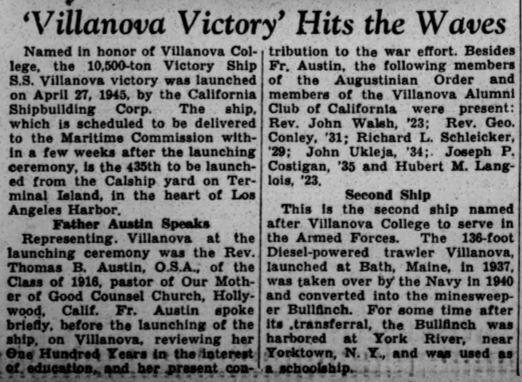 It’s not about a win by a Villanova Wildcats team, but instead refers to the S. S. Villanova Victory’s contribution to the war effort. I was stunned to find this gem in a May 15, 1945 edition of The Villanovan, which is available through the Villanova University Digital Library. 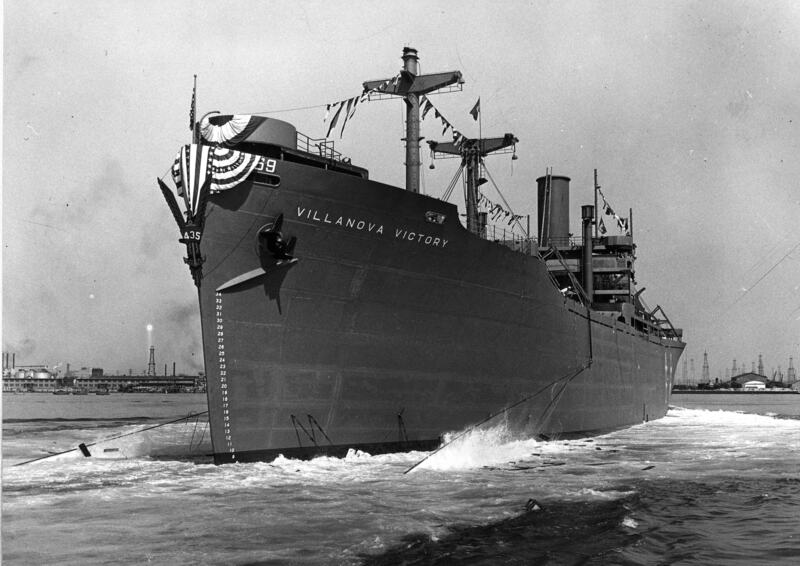 It was news to me that not just one, but two ships, had been named to honor Villanova College. As you can see in the article below, the first ship was launched in 1937 and the second, pictured below, in 1945. The photo is from the Villanova University Archives. ‘Caturday post written by Luisa Cywinski, writer on the Communication & Service Promotion team and team leader, Access Services team. Photo used with permission from the Villanova University Archives. My dad served as the helmsman on this Villanova Victory ship. He passed away Nov 2016.